Dan Lyons wrote a terrific analysis of Facebook’s purchase of Instagram in Newsweek. Bottom line, we live in a mobile world. Zuckerberg recognized that we’re moving to an access world and rather than try to convince everyone to go back to the past, to keep surfing on PCs, he bought Instagram for a billion dollars, which has a great app (even though no profits) because he didn’t want to be left out of the future. We live in an attention economy. Where the most important element is access. If you’re not available to everybody at a very low price, if not free, your destined for the scrapheap. And in an era where we’re on information overload, only the incredible takes hold and survives. Summertime will be here before you know it and many of us have started planning our annual motorcycle road trip/vacations. But, before you head out I suggest you download National Parks. Developed by National Geographic it’s a new travel app highlighted by lush photographs from the vast National Geographic archives. 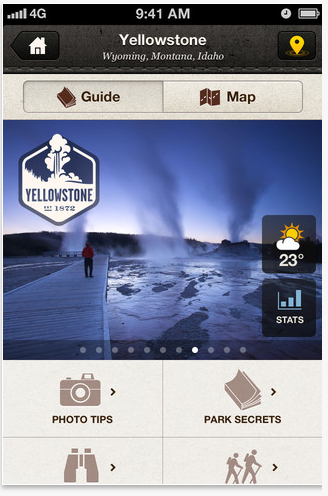 The application content spans from Maine’s Acadia to Utah’s Zion, National Parks and features information on thousands of points of interest, all tagged with GPS coordinates and complemented by recommendations from National Geographic editors. It includes global and interactive maps enable filtering by activity and seasonality, and travelers can share experiences via Facebook, Twitter and email while collecting custom-designed stamps for each park they visit. Best of all its FREE and available for iOS. We all know that National Geographic projects are separated from rival efforts by the incredible photography and this app doesn’t disappoint. Information on each park is accompanied by a photo gallery including both contemporary and vintage shots, and the images are stunning, especially on the iPad. And if you’re like me, you’ll want to snap some photos of your own and, National Parks also offers tips and tricks from National Geographic staff photographers to help make that motorcycle adventure a picture-perfect experience. 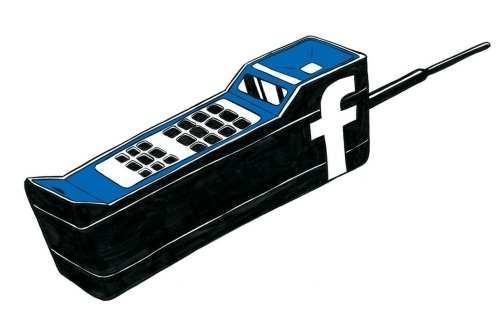 Facebook Mobile illustration courtesy of Kelsey Dake. Photos courtesy of National Geographic.